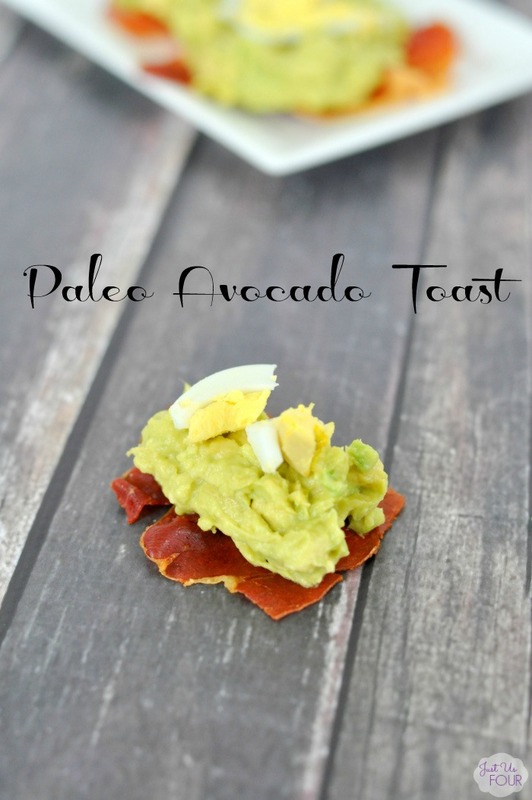 Back before I started eating more in line with Paleo guidelines, I used to love avocado toast for breakfast in the mornings. Sometimes I would top it with an over easy egg and others just some cheese. I still love my smashed avocados but wanted to make it a little more like my toast of the past. The result: you already know I am going to say the.best.snack/breakfast.ever! I call this toast even though it doesn’t actually have in bread. The prosciutto is toasted in the oven to the perfect degree of crispness so the name still fits. 1) Preheat the oven to 400 degrees. Line a baking sheet with parchment paper. 2) Place prosciutto on parchment paper and bake, in preheated oven, for 7-10 minutes or until crisp. Remove from oven and let cool. 3) Scoop avocado into small bowl and mash with salt and pepper. Spoon on top of cooled prosciutto pieces. Top with diced, hard boiled egg. 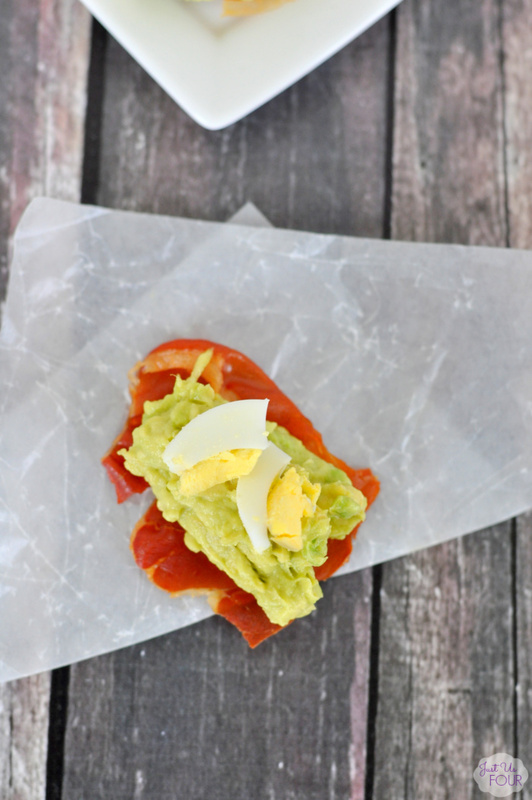 This recipe is so easy but so good! You can even crisp the prosciutto ahead of time and just have it around for whenever you want to throw this together. These make the perfect snack or, for me, breakfast! The only problems I ever have are making sure that we have avocados in our house because my four year old is obsessed! What are some of your favorite snacks? Have you tried to lighten up some of your favorite meals to fit into healthier eating habits? Place prosciutto on parchment paper and bake, in preheated oven, for 7-10 minutes or until crisp. Remove from oven and let cool. Scoop avocado into small bowl and mash with salt and pepper. Spoon on top of cooled prosciutto pieces. Top with diced, hard boiled egg. This looks so yummy and festive! this is a great idea for a party appetizer! make them bite sized and people would devour them! That is such a great idea! I am totally doing that for our next party.